Nanoparticles are found in thousands of everyday products around the world.It would be hard for someone to wash their hands, take a shower or eat out while avoiding nanoparticles. While nanotechnology can be very helpful when used in the right way, there is so much scientists have yet to learn about nanoparticles and their effects on the body.A recent study is suggesting those who fear over-exposure to nanoparticles may not be so offbase in their fears. A study was published in a Nanotoxicology journal, which highlighted the potential dangers of nanoparticles in the environment. The study suggested that around 72 percent of cells in lab testing died when a cocktail of nano-silver and cadmium ions was administered. It is hard to get away from nanoparticles, even for those who are afraid of exposure. For instance, silver nanoparticles are found in modern fridges, clothes, cosmetics, and tooth brushes. Nanosilver particles on their own may not be so harmful. It appears to be a much bigger issue when cells are exposed to both nanosilver and cadmium ions. But cadmium is found naturally around the word, meaning it is hard to avoid! From the study, cells that were exposed to only nanosilver particles died at a rate of 25 percent. The death rate for cells was 12 percent when exposed to solely cadmium ions. And that rate went up to 72 percent when both nanosilver particles and cadmium ions were administered. The study was performed on human liver cells. And it suggests that a lot more focus may need to go into understanding how nanoparticles react with each other. The current focus seems to single out individual nanoparticles to understand their impact on the body and environment. Since nanoparticles can help to make surfaces stronger, lighter and cleaner, they are used with increasing frequency. 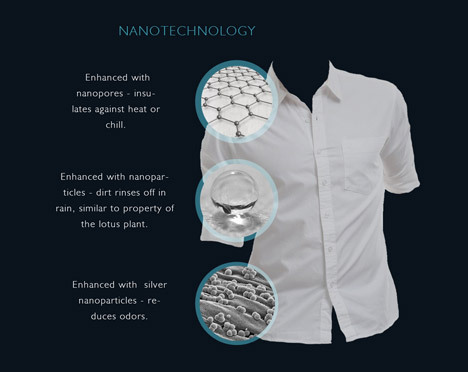 Products such as scratch proof eyeglasses, anti-graffiti wall coatings, transparent sunscreens and self-cleaning windows all use nanoparticles. And it is not just the manufacturing of smaller consumer products. Even cars are beginning to use nanoparticles, as they can help with adhesion of tires on the road. Even the car body can be made less stiff and stronger by adding steel that is strengthened with nanoparticles. Many of the processed foods that are on shelves or served at fast food restaurants will have nanoparticles somewhere in the ingredients used. They could be used as preservatives, thickening agents or to add a specific color to the food. There is so much good that can be done in the world through nanotechnology. Nanomaterials are used in biology and medicine to great effect. The issue is that when nanoparticles are used in mass production of food and products, they are everywhere in the environment. And there is still so much researchers do not know about the interaction of certain nanoparticles with the body. A lot more testing in different environments will be required before any meaningful conclusions can be drawn about the potentially harmful impact of nanoparticles on the body.